Planting cover crops is a traditional technique that will solar-charge your soil. You can choose colorful cover crops, such as bachelor’s buttons and crimson clover, to build your soil and beautify your beds. There are three main ways to improve your soil — grow cover crops, mulch the surface with biodegradable mulches, and/or dig in organic soil amendments (such as compost, grass clippings, rotted manure or wood chips). All have their advantages and none should be discounted, but cover cropping is the method least likely to be practiced in home gardens. There is a reason for this: Information on using cover crops is tailored to the needs of farmers who use tractors to make short work of mowing down or turning under cover crops. But when your main tools for taking down plants have wooden handles and you measure your space in feet rather than acres, you need a special set of cover crop plants, and special methods for using them. A cover crop is any plant grown for the primary purpose of improving the soil. Since the early 1900s, farmers have used cover crops to restore fertility to worn-out land. In addition to helping bulk up soil with organic matter, cover crops prevent erosion, suppress weeds, and create and cycle soilborne nutrients using the power of the sun. Recent advances in soil biology have revealed two more ways cover crops can improve soil. But so much for scientific talk. If you’ve experimented with cover crops, perhaps you have dug up young fava beans or alfalfa seedlings to marvel at the nitrogen nodules on their roots, or watched a stand of buckwheat go from seed to bloom in four weeks flat. Or how about this one: It’s April and the soil is warming up and drying out. After loosening a clump of fall-sown wheat with a digging fork, you pull up a marvelous mop of fibrous roots and shake out the soil. What crumb! The soil’s structure is nothing short of amazing! These are the moments an organic gardener lives for. Bio-drilling is what happens when you use a cover crop’s natural talents to “drill” into compacted subsoil. For example, you might grow oilseed or daikon radishes as a cover crop where their spear-shaped roots will stab deep into tight subsoil. Bio-drilling action also takes place when deeply rooted cover crop plants penetrate subsoil and die. Then, the next crop grown may actually follow the rooting network mapped out by the cover crop. Maryland researchers were able to track this process using special camera equipment (a minirhizotron), which took pictures of the interactions between cover crop (canola) and crop plant (soybean) roots. As the canola’s deep roots decomposed, soybean roots followed the trails they blazed in the subsoil, hand in glove. In addition to reduced physical resistance, the soybean roots probably enjoyed better nutrition and the good company of legions of soil-dwelling microcritters, compliments of the cover crop. Speaking of taking down, this is the sticking point for most gardeners when it comes to cover crops, which is why it’s a good idea to start small with your first cover crop plantings. Traditionally, cover crops are plowed under, but most gardeners chop, cut or pull them, and use them for mulch or compost. Or you can assign the task to a flock of pecking poultry. All are sound methods, and it is possible that composting cover crop plants produces a more balanced soil amendment compared to chopping raw-crop residue directly into the soil. Pulling plants saves time, too, because you don’t have to wait three weeks (or more) to plant, in order to avoid possible negative reactions between rotting plant residues and the plants you want to grow. For example, the cover crop known as sudex (a fast-growing sorghum-Sudan grass hybrid) produces gargantuan amounts of biomass (leaf, stem and roots), but fresh sudex residue in the soil inhibits the growth of tomatoes, lettuce and broccoli. Oats, wheat and other cover crop plants also produce allelopathic substances that can temporarily hinder the germination and growth of other plants, too, but not in quantities sufficient to cause serious disturbances in the garden. If you chop in fresh cover crop residues, just plan to wait two to three weeks before sowing crop seeds. The following cover crops work well in a wide range of climates and situations, and they’re not hard to take down, as long as you do it at the right time and in the proper way. We’ve selected these six because they are easy to manage using hand tools, grow during different seasons and provide multiple benefits in the garden. During the summer, buckwheat (Fagopyron esculentum) is in a class by itself as a cover crop. Seeds sown in moist soil turn into a weed-choking sea of green within a week, with many plants growing 2 feet high or more and blooming in less than 30 days. Should you need to reclaim space that has been overtaken by invasives, buckwheat can be your best friend. In my garden, buckwheat has been a huge ally in cleaning up a spot overrun by dock, bindweed and other nasties that grow in warm weather. For two years, each time the noxious weeds grew back, I dug them out and planted more buckwheat. Throughout the battle, the buckwheat attracted bees and other buzzers in droves. Fortunately, even mature buckwheat plants are as easy to take down as impatiens — simply pull the succulent plants with a twist of the wrist, or use a hoe or scythe to slice them off at the soil line. You can let the dead plants die into a surface mulch and plant through them, gather them up and compost them, or chop them into the soil. In late summer, while the soil is still warm, you have a fine opportunity to try barley (Hordeum vulgare), a fast-growing grain that’s great for capturing excess nitrogen left over from summer crops, which might otherwise leach away during the winter. Barley often suffers from winter injury in Zone 6, and is often killed altogether in Zone 5 and above. This is good! The dead barley residue shelters the soil through winter, and dries into a plant-through mulch in spring in cold zones. Oats are a good cover crop option. Mature oat plants will grow 2 to 3 feet tall, but their roots can extend up to 6 feet into the soil. Early fall is the best time to grow the dynamic duo of soil-building cover crops — oats (Avena sativa) mixed with cold-hardy winter peas (Pisum sativum). When taken down just before the peas start blooming in spring, an oat/pea combination cover crop is the best way to boost your soil’s organic matter and nutrient content using only plants. Both make a little fall growth when planted in September, and in spring the peas scramble up the oats. 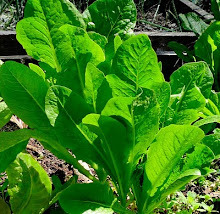 On the down side, one or both crops can be winterkilled before they have a chance to do much good north of Zone 5, and in more hospitable climates it will take some work to get the plants out of the way in spring. Do it by mid-April, because the job gets tougher as the plants get older. Cut or mow them down first, and then pull and dig your way through the planting. A heavy-duty chopping hoe works well for this. Hairy vetch (Vicia villosa) needs a good head start on winter, too, but it’s hardy to Zone 4 and gives a huge payback in terms of soil improvement, and saved time and labor. Unlike many other cover crop plants, you can quickly kill hairy vetch by slicing just below the crown with a sharp hoe. When hairy vetch is beheaded about a month before it’s time to plant tomatoes and peppers, you can open up planting holes and plant through the dried mulch — no digging required. Late fall is not a lost season for cover crops, but in most climates you’re limited to cereal rye (Secale cereale), the cold-hardiest of them all. Rye will sprout after the soil has turned chilly, but be sure to take it out early in spring, before the plants develop tough seed stalks. Or let your chickens keep it trimmed; leave the birds on the patch longer in spring and they will kill the rye for you. If you’re looking for a cover crop you can plant in October for cold-season poultry greens, cereal rye is probably the best choice. In any season, you may find many more great cover crops in seed catalogs, or among your leftover seeds. As you consider possibilities, think about plants that quickly produce an abundance of leaves and stems, but are easy to pull up or chop down if you decide you don’t want them. Bush beans, leafy greens or even sweet corn can be grown as short-term cover crops, along with annual flowers such as calendulas and borage in early spring, or marigolds and sunflowers in summer. 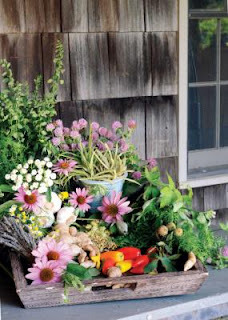 Teaming up a flower with a cover crop plant is always fun, whether you’re planting sulphur cosmos with cowpeas in summer, oats with dwarf sunflowers in late summer or bachelor’s buttons with crimson clover in the fall. Whatever you do, just don’t leave your soil bare or you’ll be missing out on a chance to capture solar energy to recharge your food web. To locate mail-order sources for cover crops, go to the MOTHER EARTH NEWS Seed and Plant Finder. Treat dozens of common ailments naturally. Herbal remedies can be a safer, less expensive alternative to pharmaceuticals, and you can grow many of them in your backyard. My wife is an M.D. trained in pharmaceutical medicine. She prescribes drugs every day, but also recommends medicinal herbs. In our medicine cabinet, we stock drugs and herbs, but we use more of the latter. When we catch colds, we prefer echinacea and andrographis (immune-boosting herbs proven to speed recovery), ginseng (ditto), licorice root (for sore throat), tea or coffee (caffeine helps relieve stuffed nose and chest congestion), eucalyptus lozenges (for cough), and pelargonium (if post-cold bronchitis develops). Thirty years ago, when I started writing about medicinal herbs, the vast majority of M.D.s (my wife included) never recommended herbs over drugs. Today, doctors are increasingly open to recommending nondrug alternatives given reasonable evidence of safety and effectiveness. Unfortunately, many medical authorities still disparage medicinal herbs. Critics make four accusations: Herbs are ineffective, unsafe, unregulated and, when they work, they’re not as strong as drugs. Ineffective? Hardly. As I document in my book, The New Healing Herbs, thousands of studies confirm the effectiveness of medicinal herbs for hundreds of conditions. Unsafe? Like drugs, medicinal herbs can cause harm. Anything that’s pharmacologically active can. To ensure safety, purchase a guide that emphasizes safety, such as my book or the American Botanical Council’s ABC Clinical Guide to Herbs, or check out the Natural Medicines Comprehensive Database. Anyone who calls herbs hazardous is totally misinformed. Every year the American Association of Poison Control Centers (AAPCC) compiles statistics on accidental deaths from drugs, herbs, vitamins and other supplements. The AAPCC’s most recent report (2008) records 1,756 accidental poisoning deaths. How many were attributable to medicinal herbs? Zero. In every accidental death caused by a pharmacological agent, the culprit was a pharmaceutical. And it’s been that way for many years. Herbs are safer than drugs. University of Toronto researchers combed 30 years of medical literature (1966 to 1996) for reports of drug side effects in hospital patients. Extrapolating from the 39 most rigorous studies, they estimated that drug side effects kill an astonishing 106,000 U.S. hospital patients per year and cause 2.2 million serious, nonfatal problems. This makes drug side effects the nation’s fourth leading cause of death. The true number of drug-caused injuries is undoubtedly higher; this study focused solely on hospital patients, not the public. Note: These deaths didn’t result from medical errors; they occurred when drugs were administered as approved by the Food and Drug Administration (FDA). Unregulated? Before approving new drugs, the FDA requires drugmakers to prove them safe and effective. Such tests aren’t required of herbs, leading to claims that herbs are unregulated and, by implication, unsafe. But as we’ve seen, the supposedly stringent regulation of drugs hasn’t kept them from causing great harm. In addition, preapproval studies typically involve only a few thousand people. Many side effects — some serious — only turn up in one user in 10,000 to 50,000, or more. These problems don’t emerge until the drug is widely used by people unaware that they are guinea pigs. Because so many new side effects turn up during the five years after approval, the FDA requires drugmakers to rewrite the warning labels of half of new drugs. Yes, drugs are regulated more stringently than herbs, but regulation doesn’t guarantee safety. Hundreds of studies show that, when compared head-to-head with herbs, drugs almost always cause more side effects. The vast majority of medicinal herbs have been used for centuries, standing the test of time. Rather than herbs being too weak, many drugs are too strong, and using herbal remedies may help allleviate your symptoms without as many side effects. Not as strong? Dose for dose, yes, herbs aren’t as strong as drugs. Willow bark contains a natural form of aspirin, but the standard dose (1 to 2 cups of tea or 1 to 2 teaspoons of tincture) doesn’t relieve pain as well as a standard dose of aspirin, ibuprofen (Motrin), acetaminophen (Tylenol), or naproxen (Aleve). As a result, critics dismiss herbs as medicinal wimps. Rather than herbs being too weak, many drugs are too strong, causing side effects ranging from annoying to insufferable. Do no harm is the first axiom of medicine. This means that treatment should begin at the lowest possible effective dose. Why use a bulldozer if a broom suffices? Herbs should be prescribed first. Only those who truly need stronger medicine should use drugs, which cost more and have a greater risk of side effects. Unfortunately, American medicine does the opposite. Doctors prescribe drugs first, and only when the drugs are intolerable do some doctors suggest herbs. We don’t need medicine that’s stronger. We need medicine that’s smarter. For many common ills, herbs are cheaper and smarter. If you’d like to try herbs instead of drugs, our Herbal Remedies for Common Ailments chart is a good place to start. These herbs have been included because of the strong clinical evidence of their efficacy. Michael Castleman is one of the nation’s leading health writers, according to Library Journal. From tiny metallic green specks to giant black drones, bees have found their honey heaven on a slice of the UC Davis campus. More than 6 million bees representing up to 55 species have taken up residence in the new Häagen-Dazs Honey Bee Haven, a half-acre refuge designed to educate students and the public about agriculture's most important little helpers. The new garden will be dedicated Sept. 11, but it already buzzes with activity. Red sages attract legions of workers that dip eagerly for nectar. Summer squash and watermelon tempt honeybees into vegetable beds. Coneflowers with thimbles-full of pollen beckon native bees to dig right in. Today is National Honey Bee Awareness Day. Interest in bees has never been bigger, say experts, mostly due to colony collapse disorder. "Absolutely, bee awareness is the highest I've seen, no doubt about it," said bee expert Eric Mussen, who has been part of the UC Davis entomology staff for 34 years. "A lot of people are asking, 'What can I do to help?' "
America is losing its honeybees at an alarming rate for unknown reasons. Last winter, an estimated 33.8 percent of commercial hives died out. Since the start of its rapid rise in 2007, colony collapse disorder may have wiped out 25 percent to 35 percent of European honeybee colonies, the type tended by American beekeepers. 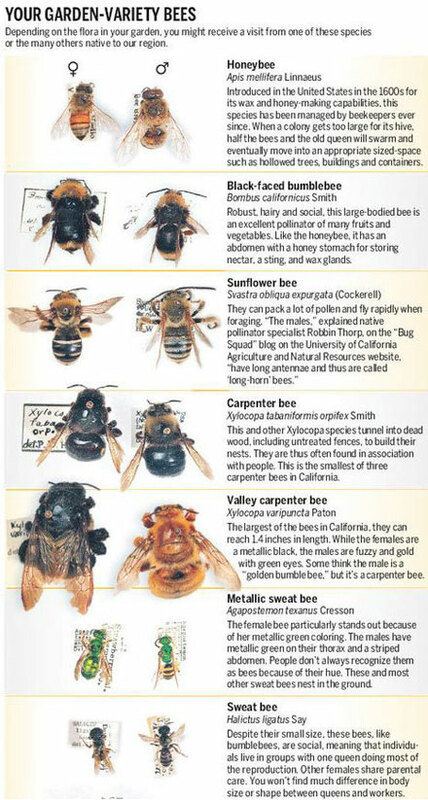 "Many bees just don't look as healthy as they used to," Mussen explained. "Something suppresses their immune system. We've found elevated fungal disease as well as elevated virus, but how did they get susceptible to these in the first place?" Concern for bees is not just about honey. Many crops are dependent on bees for pollination. Among them are melons, squash, cucumbers, cranberries, raspberries, strawberries, blueberries and sunflowers. Also bee-dependent are alfalfa, buckwheat and clover. Most tree fruit needs bees. Among the biggest bee-users in California: almonds. "We grow more than 700,000 acres of almonds in California, and every acre needs two to three hives," said Kathy Garvey of the UC Davis entomology department. Each hive holds about 60,000 bees. That's potential employment for 126 billion bees – just in almond orchards. But bees don't stay put. "Bees need the equivalent of an acre of plants to visit every day," Mussen said. "They'll fly up to four miles from the hive and cover 50 square miles. They're in everybody's gardens and fruit trees, not just the orchards." Including three large almond trees and several other fruit trees, the new Bee Haven has 110 hives, but bees are everywhere – including the ground. Some native bees burrow and make nests in the soil. "This garden already has incredible diversity," said Neal Williams, an assistant professor who works with native bees. "We have bumblebees, carpenter bees, leaf cutters, borer bees, mason bees, sweat bees. It's pretty incredible who we've found." Before planting the garden, a survey by Davis bee expert Robbin Thorp found 21 species of bees buzzing around the Laidlaw Honey Bee Research Facility at UC Davis. Next to the research lab, the new garden – created as a food source for the facility's bees as well as an outreach program – attracted 15 more species this spring. In all, 55 species have been documented. "We've seen some exotic nonnative species move in, too," Williams said, "plus some bees that we still haven't fully identified. "It's important to have diversity," he added. "It's like a stock portfolio; diversity buffers change." With a $75,000 budget, the garden began in July 2009 with a patch of open, untilled field. The local bees survived on star thistle and bindweed. "The ground hadn't been worked in years," said Missy Borel, program manager of the California Center for Urban Horticulture at UC Davis. "It was like a giant concrete brick." Sausalito landscape architects Donald Sibbett and Ann F. Baker, interpretative planner Jessica Brainard and exhibit designer Chika Kurotaki were picked after an international design search. Cagwin & Dorward Landscape Contractors of Antelope – experts on sustainable drought-tolerant landscaping – handled the installation. "Our biggest challenge was cost," said Borel, who was in charge of the planting. "We had a tight budget and started with nothing but an empty field. We had no irrigation. But we had tremendous support. Almost everything was donated." Most of the featured plants are Arboretum All-Stars, drought-tolerant, easy-care perennials and shrubs propagated by the university's arboretum. The compost came from scraps from campus cafeterias. 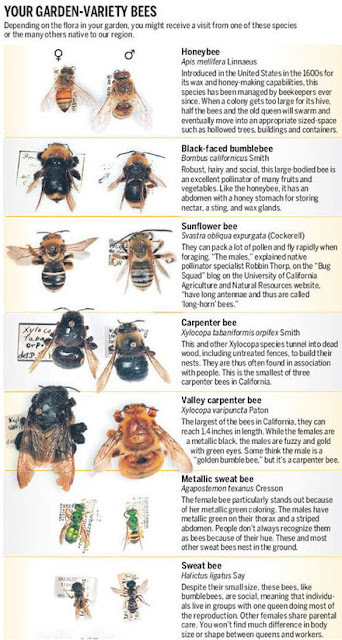 "We gave the designers a list of suggested plants to use that would offer year-round bloom," said Lynn Kimsey, director of the Bohart Museum of Entomology, who also oversees the UC Davis apiary (bee) program. "The bees love them – but so do the rabbits. That's been a real struggle." To keep out voracious bunnies, a temporary fence skirts the garden, which is open free to the public daily from dawn to dusk. Out of bronze and ceramic mosaic, Davis artist Donna Billick created a giant honeybee sculpture the size of a large dog. It sits atop a bench and pedestal decorated with mosaics by Sarah Rizzo, schoolchildren and UC Davis students led by artist-scientist Diane Ullman. "We learned a lesson from the bees – the value of social networking and collaboration," Billick said. The artists incorporated a bit of bee into their work depicting bee life. Beeswax went into the lost-wax process to create the bronze legs. To pattern the eyes, Billick used the same hexagonal screen that beekeepers use in hives. About 1,000 people are expected for the grand opening, said coordinator Chris Akins. Visitors have already started dropping by to catch the buzz. "It's awesome," said preschool teacher Kerry Bzdyk of Virginia, who visited the garden with her daughter Emily, a grad student. "I especially love the bee sculpture. This is really great for kids – for anyone – to learn about bees." Where: Bee Biology Road on UC Davis west campus. When: Grand opening, 10 a.m. to 2 p.m. Sept. 11. Garden is open to public daily from dawn to dusk. 1. Bees need water – not just to drink, but for air conditioning. In triple-digit Sacramento summers, interior hive temperatures can top 130 degrees, melting the wax used to form cells in the comb. Bees gather water on hot days, then bring it back to the hive, where it's pooled on the floor as a sort of swamp cooler. Evaporation – up to a gallon a day – cools the hive. Bees also need water to produce food for the colony's babies. Each "water carrier" makes 50 trips a day, collecting about 25 mg per trip. For a gallon, the bees need to make almost 160,000 trips. 2. Most bees live short, sweet, busy lives. The average honeybee lives 30 days. Queens usually live two years, but some last longer. During spring, queens can lay 2,000 eggs a day. That allows the hive to rejuvenate itself. The colony needs workers. It takes 2 million visits to flowers to produce 1 pound of honey. 3. Bees like to dance, but the sun calls the moves. When bees return to the hive after foraging, they communicate where the best flowers can be found with the "waggle dance." The direction of the bee's dances correlates to the angle of the flower from the hive relative to the angle of the sun. Most bees are not aggressive, but they will sting when stepped on or when they sense a threat to the hive. Most bee stings happen in the fall. As flowers disappear, bees take more risks as they expand their search. Bees are attracted to sweet smells and bright colors, so avoid wearing them. If a bee lands on you, hold still. (Tell kids to pretend they're statues.) Don't swat; the rapid movement might startle the insect. Gently blow on the bee to encourage it to take off. If you get stung, pull the stinger out immediately. That cuts down on the poison that causes swelling. Then apply an ice pack or cold compress. If a person is allergic to bees and is stung, don't wait to see symptoms; call 911 or head for an emergency room.